This may surprise you, but the absolute worst index at measuring the total US stock market performance is also the most widely recognized. Any guesses which one? If you guessed the Dow, you are correct. There is almost no way the Dow could be a worse measure of overall market performance, and yet it is still quoted millions of times per day on business news channels all over the world. I’ll explain why in a minute. This fact got me thinking about the various indexes, and how well they measure overall U.S. stock market performance. I decided to rank them from best to worst and explain why. The indexes that I looked at are the Dow, the S&P 500, the Nasdaq, the Russell 3000, and the Wilshire 5000. There are vast differences between all of these indexes, and some of them even have different versions of their own indexes. The indexes can be cap-weighted, which means that the larger companies account for more of the movement in the index than small companies, or they can be equal-weighted, where all companies have the same weighting. Yet another option is a price-weighted index, where the stock price of a company determines its weighting in the index. The indexes can also differ on how they measure return. Some indexes measure just price return, which measures the price of the shares of the underlying stock without taking dividends into account. Other indexes measure total return, which is a measure that includes both price movement and dividend reinvestment. For the purpose of measuring the total US stock market, I would make the argument that market cap weighting and total return are more accurate depictions of market performance than the alternatives. From our point of view, the Dow is the worst measure of the total US stock market. It is the smallest index by a wide margin, as it contains just 30 stocks. It also has very little diversification as they are all large or mega-cap stocks. Additionally, it is a price-weighted index, which makes it very complicated to calculate because of mergers, spin-offs, and stock splits. It also skews the percentage movement in the index because the moves are not measured in percentages, but rather in dollars. When stock A is trading at $20 and moves 10%, it has moved by $2. When stock B is trading at $100 and moves $2, it has moved just 2%. However, under the Dow system, both of those $2 moves have the same effect on the index! The Nasdaq is also not a very good measure of the performance of the overall market. 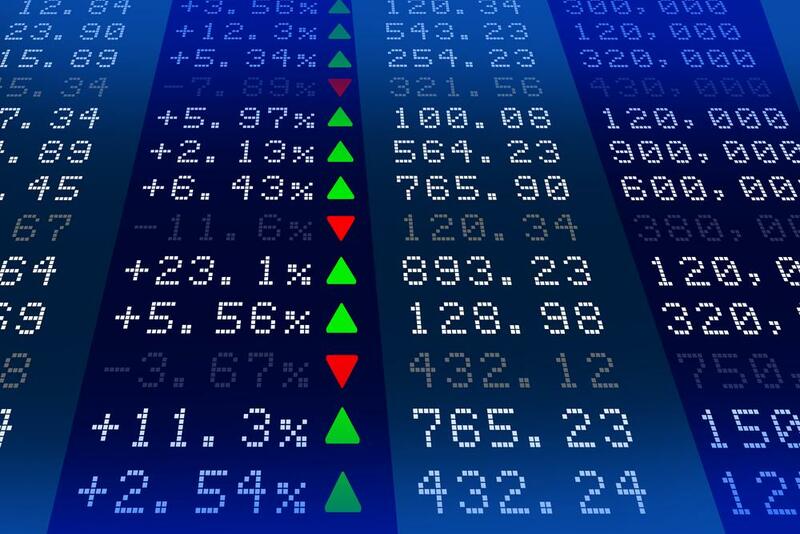 The Nasdaq is more broad based than the Dow with over 3000 stocks listed on the exchange. The Nasdaq is also market cap weighted, which is a better system than price weighting. The downside of the Nasdaq is that it is heavily weighted towards technology even though it also includes other market sectors. The S&P 500 is one of the more famous indexes, and one that is widely considered the best gauge of how the US market is performing. But is that an accurate assumption? As far as the big three go, I would say it is fairly accurate. The accuracy of market cap weighting on an index can be debated, but it is an improvement over price weighting. Covering 500 of the largest US corporations covers the majority of the market cap in the US, so that is a vast improvement over the Dow. The S&P doesn’t tend to skew heavily toward one industry or sector, so that is another point in its favor. In general, the S&P is a pretty good indicator of overall market performance. With all of that being said, the two best indexes for measuring the overall US market performance are two of the lesser known indexes. The Russell 3000 is a collection of the 3000 most liquid stocks traded in the US. The index accounts for about 98% of the total market cap of US based companies, so it is a step ahead of the S&P 500. Ironically, the two subsets of the Russell 3000, the Russell 1000 (large-cap) and the Russell 2000 (small cap) get much more coverage than the 3000. Part of the reason is the existence of the Wilshire 5000, another lesser known index. This index tracks just about every publicly traded company in the US, and is not limited to 5000 stocks. In fact, at times there have been over 7500 stocks in the index. The Wilshire 5000 is widely considered the best benchmark for the total US market, and it is definitely the best benchmark that no one has ever heard of.